Here’s the next installment in our series of short cases. 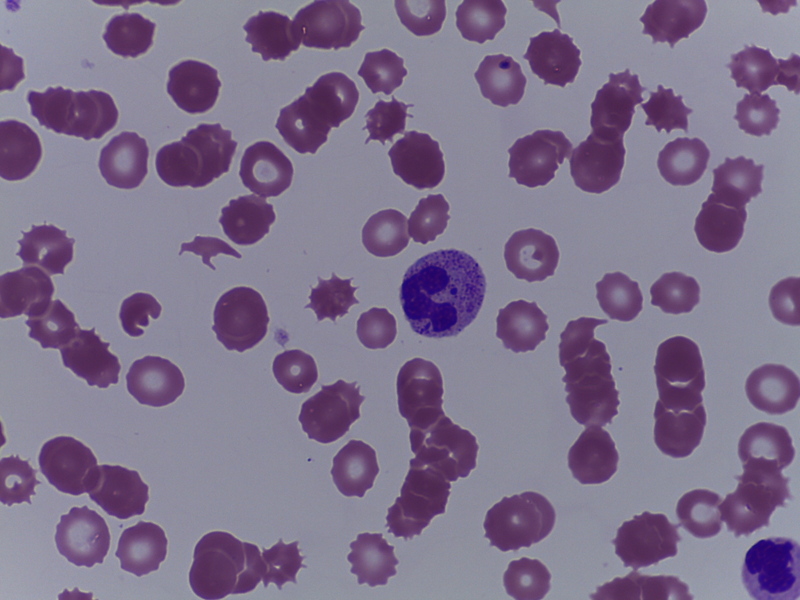 This was a film from a nine year old post haematopoietic stem cell transplant for relapsed AML. The patient was one month post transplant with no evidence of AML but still transfusion dependent and recent treatment for acute graft verses host disease and had deteriorating renal function. We’d be interested in your thoughts! By the way – the second picture was taken in the thick end of the smear. 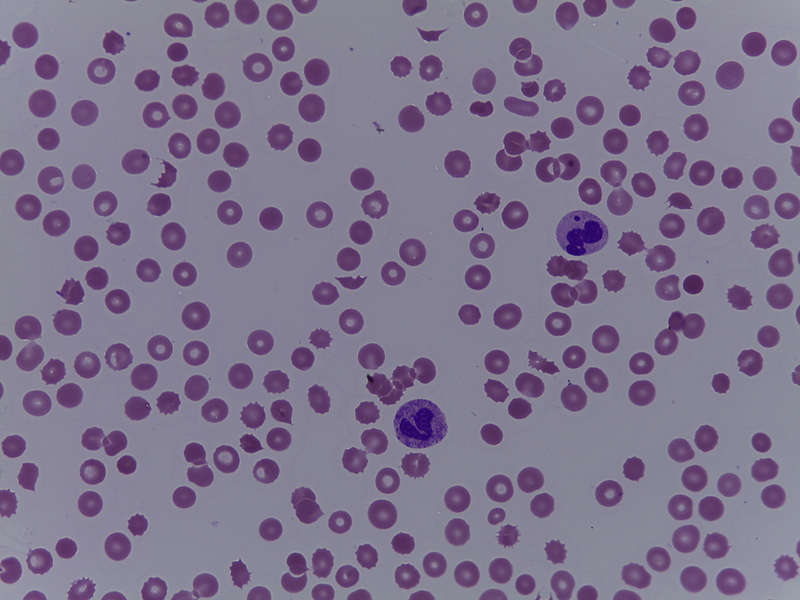 This entry was posted in Anaemia, Laboratory morphology, Paediatric haematology, Platelet disorders, Transplant and tagged Blood film, haemolysis, MAHA. Bookmark the permalink.